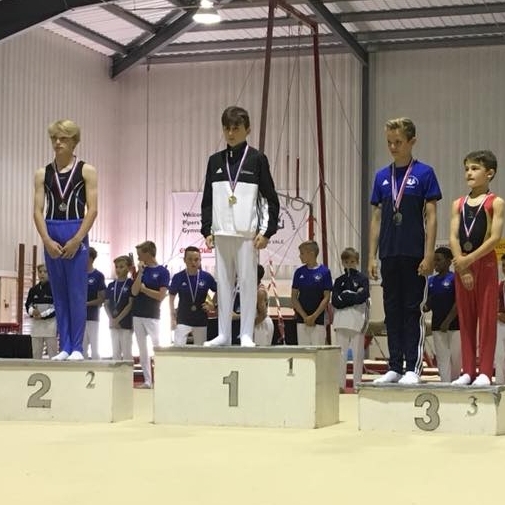 There were medals all round for the boys at the Regional Voluntary Championships held at Pipers Vale in Ipswich on Sunday 8 July 2018. 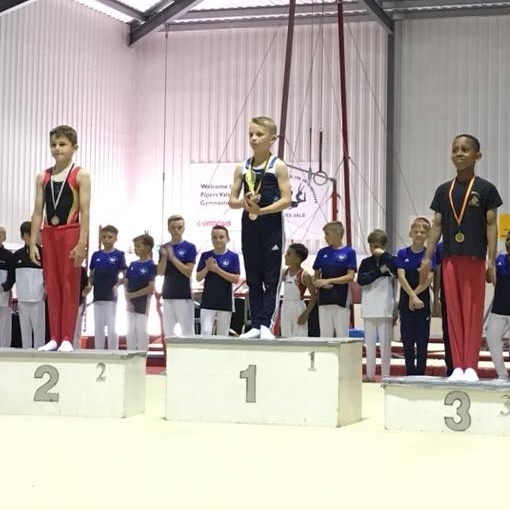 In their first FIG U12 competition Owen and Fin finished 3rd and 4th respectively, alongwith several apparatus placings. 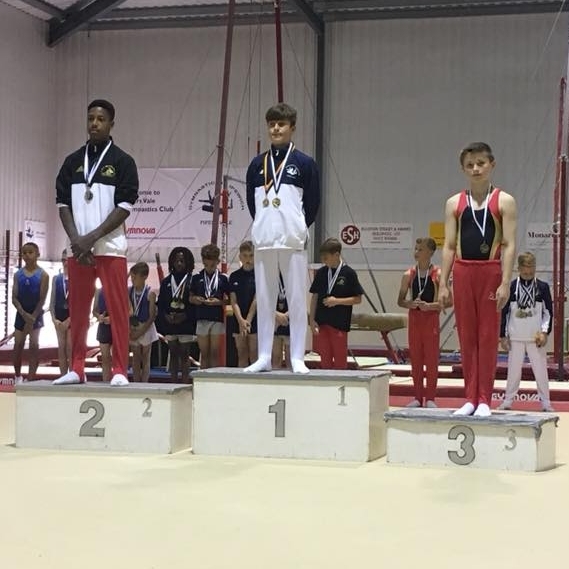 At FIG U14 Mikie and JJ both competed some new skills and finished 4th & 5th overall. There were also a few apparatus medals each, including 2nd & 3rd on Rings. 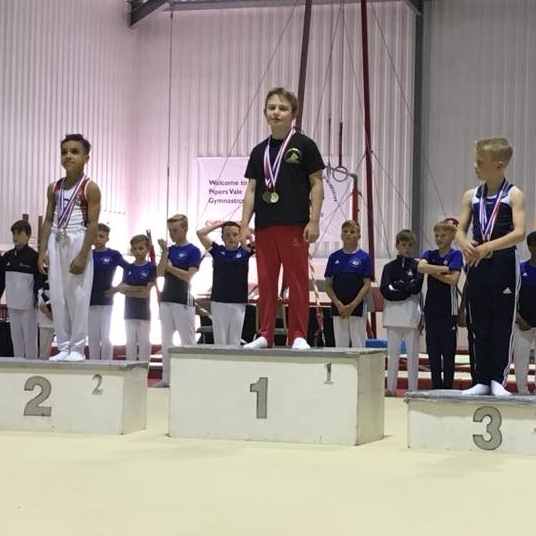 Matthew, Chris, Riley & Ethan competed in the U10 development competition and all went clean to place 2nd, 3rd, 4th & 5th overall. 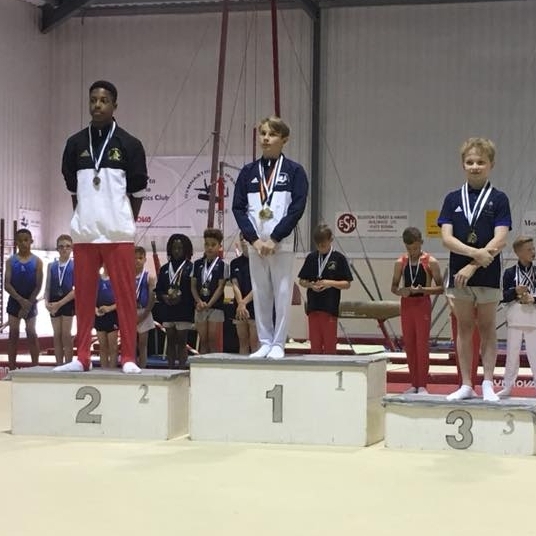 The boys also managed a clean sweep of the medals on Pommel and Rings and between them there were placings on all other apparatus. Great job gymnasts and coaches!